Deciding where to take your long-service leave is inarguably one of the toughest choices you’ll ever have to make, travel-wise of course. One works long and hard to accumulate a substantial amount of paid leave and the pressure to do something meaningful and rewarding with the free time is not without its merits. You could stay home, of course, and reorder the wardrobe following Maire Kondo’s joy-sparking principle or – just throwing caution to the wind here – find real joy and plenty of spark travelling to South America instead. Which one do you think will be more fun? South-America beckons as one of the top travel contenders for long-service leave and the appeal is easy to understand. This is a huge continent that offers a fantastic array of highlights and, unlike other continents (like Europe), boasts a very defined ‘route’ that allows for a smooth and continuous itinerary. The main thing one needs to travel through South America is time, however, and that’s why most visitors from our shores tend to visit for between 2 and 4 months, an ideal travel time frame when your long-service leave comes up. Flight time between Australia and South America is about half that of Europe and this is a huge incentive for those who don’t want to deal with jetlag and mind-numbing 24hr-flights. Leave Sydney this morning and you could be sipping an aperitif in an outdoor bar of Buenos Aires by the day’s end. Leave for Paris and you’d still be on the plane, this time tomorrow. Aside from saving funds simply by taking this shorter flight, South America is, overall, a much cheaper country to travel through than Europe or North America, making this the second-biggest incentive by far for extended travels. 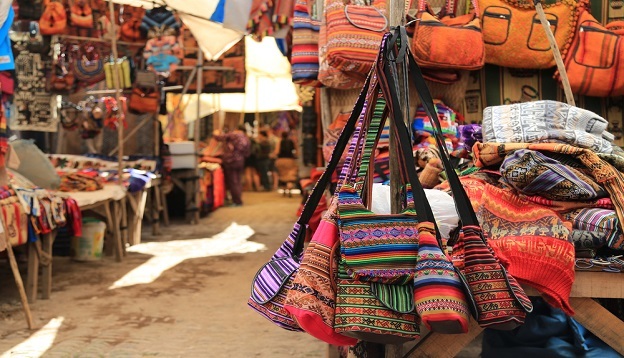 Spend less and you can travel more – the Aussie dollar going much further in the land of the Incas, churros and llamas. If value-for-money counts anywhere, it most certainly does there. A cheaper destination means you can either spend less on your long-service trip or upgrade your usual level of luxury. A 5* hotel in South America is, in some places, just a portion of what you’d pay elsewhere, leaving you more funds for sightseeing, indulging in wine-tasting or culinary tours, taking domestic flights and simply enjoying your journey without worrying that the trip will end up costing you an absolute fortune. We often say that there’s a ‘South America for everyone’ and that this is the most varied continent on the planet. One goes to Africa for wildlife, to Europe for culture and history, to Asia for beach vacations and to North America for oversized meals but, the fact is, South America is the only continent that offers all these things combined and that just spells travel perfection in our books. From the breath-taking tips of the Andes to the magnificent rainforests, the fabulous wine-growing regions, the stunning colonial architecture and all those incredible wildlife hubs like the Galapagos Islands, the Pantanal, Patagonia, the Amazon…you name it, and here you can do it. All in one, swift, journey. History lovers and culture vultures, active explorers and animal lovers, South America entices everyone. For a truly comprehensive and eclectic travel experience, South America is simply unbeatable. There’s something about the continuity of the culture and wilderness in South America that makes one feel like an extended itinerary is simply a must here. It doesn’t really happen anywhere else. You don’t plan a trip to Italy and then kick yourself because you have no time to also visit Slovenia. You travel to Italy because it is a world all its own – yet start planning a trip to Peru and the enticement to also add Bolivia to your itinerary (and then Chile and why not Argentina) will be overwhelming. There are very valid reasons the continent boasts a decades-long cemented tourist trail: the main highlights are laid out in a wonderful order as if to tease the avid explorer and the similarity in culture, language, cuisine, history and wilderness make us think of South America as one combined destination rather than a maze of several distinct ones. You’re visiting Machu Picchu, how could you not hop over to Lake Titicaca and, while there, as if you’d miss a traverse of the Uyuni Salt Flats in Bolivia?! You know where you’ll emerge on the other end? In Chile’s stunning Atacama Desert. Longer travel suits South America to a tee – many of the unmissable highlights are in remote locations so, on top of it all, it’s simply genius to combine them all into a single, long-service leave trip, rather than do each country separately. You can certainly head to Peru for two weeks, many people do, but you’ll just be scratching the surface of a country and culture that warrants time to really grasp and this holds true for every single country in the continent. You can tick lists or you can have an immersive experience you’ll remember forever. The first requires two weeks of your time, the latter, much more. The sheer size of South America means that no matter what time of year you decide to take your long-service leave, there will be a region at its absolute best, the continent boasting a multitude of destinations both below and above the equator line. Some destinations – like the Amazon, the Galapagos and the Andes Mountains, are also defined by dry/wet seasons, offering further options at whatever month of the year you visit. Southern Summer – The southern summer, the period between October and March, is the prime travel season to Patagonia and, for obvious reasons (ie, the highest temps at the lowest latitude) also coincides with cruising season to Antarctica. Head here during the Australian summer and you’ll have over half the continent from which to choose – skip the highlands and mountainous areas, where rains can disrupt travel plans – and head to the south instead. Hiking in Torres del Paine, wildlife-watching in the Valdes Peninsula, wine-tasting in Mendoza and Santiago and as many city-escapes as your heart desires – Buenos Aires, Rio de Janeiro (and its sensational February Carnaval), Santiago and Lima are all wonderful to explore in summer. Southern Winter – As winter approaches the far south, hone in on the northern half of the continent where the summer is fast approaching. The Galapagos and the Andes mountain regions of Peru, Ecuador and Bolivia are at their prime – for visits to Machu Picchu, the Bolivian Altiplano and the Salt Flats, travel here between May and September for the greatest chance of clear skies and very little rain. Peru and Bolivia may well sit below the equator line although their mountainous regions suffer from severe rains in summer so winter is actually ideal. For more detailed info on the best time to visit the major highlights, have a read of The Best Time to Visit the Big Five in South America. Depending on how you’ve managed your leave, you could have anywhere between two and four months up your long-service-leave-sleeve (a mouthful, we know) and we have a few suggestions on the best ideas that squeeze the most out of your time here, however extensive that may be. Everyone is different, naturally, some people choose to start planning with a time-frame in mind and others prefer to settle on their most-desired destinations first and take it from there. At our Chimu Adventures Resource Centre, we’ve got just about every travel guide under the sun to help you out. 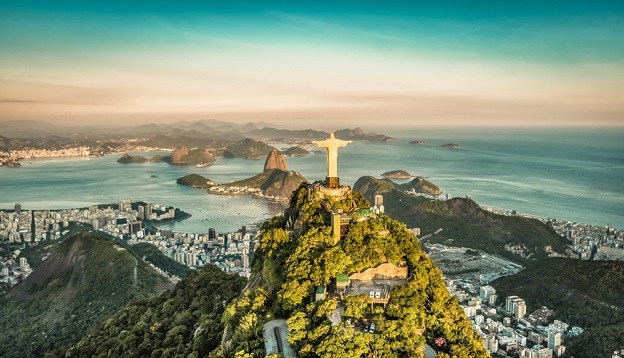 The BIG Five – The continent’s five most coveted highlights for first-time visitors are Machu Picchu, the Galapagos Islands, the Amazon Rainforest, Rio de Janeiro and Iguazu Falls. You’ll need one month to dedicate to an itinerary that covers all of these splendours although if you double that time you can include many more side-trips near each point of reference. See how much time you need to tick off the Big Five. Small Ship Cruising – Unbeknownst to many, South America is actually a fantastic cruising destination although the twist here is that small-ship meanderings is much more about the destination than the cruising experience one may find, say, in the Caribbean. The best destinations to explore by small ship are the Galapagos of course, as well as the magnificent fjords and glaciers of Chilean Patagonia, along the Amazon River and its tributaries, and lastly, Antarctica, which you can reach by ship from Ushuaia. We have carefully selected our small ships, all offering excellent amenities and comforts alongside a wealth of optional activities, at unbeatable prices. Read more about the Must-do Cruises in South America to get an idea of how long you’ll need for each experience. First-time Visits – This may not actually be your first time in our beloved continent although, if it is, you may love some help. We know it can be quite daunting to know where to even start! Our South America for First-Timers Guide offers an overview of the main regions, what they offer, which kind of traveller suits each one and the best time to visit. If you have the luxury of planning your long-service leave when it suits you best, it’ll help you hone in on your interest so, at the very least, you’ll know what time of year you should be visiting. • Hiking – If you love to explore a region of the world under your own steam, you’re certainly headed to the right place. 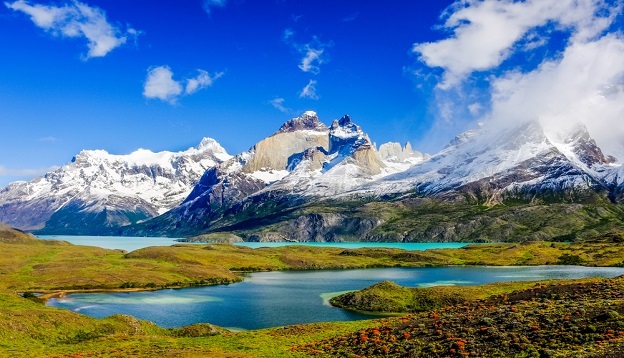 South America’s best hiking destinations are Patagonia (especially around Torres del Paine National Park and El Chalten), the central Andean region around Cusco, Peru, and the northern Peruvian town of Huaraz, the base of trekking the spectacular Cordillera Blanca. 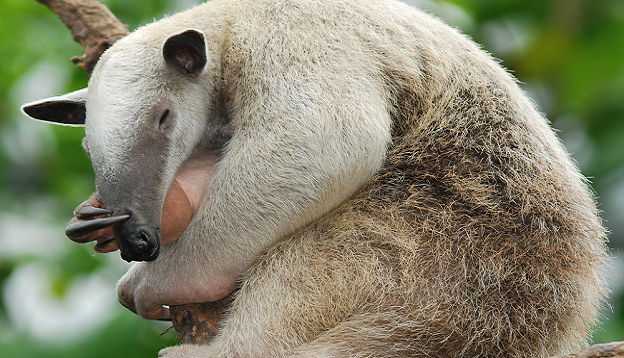 • Wildlife – South America offers huge wildlife experiences, some of the best in the world, in fact. The top contender is the Galapagos archipelago, arguably the best wildlife destination on the planet. 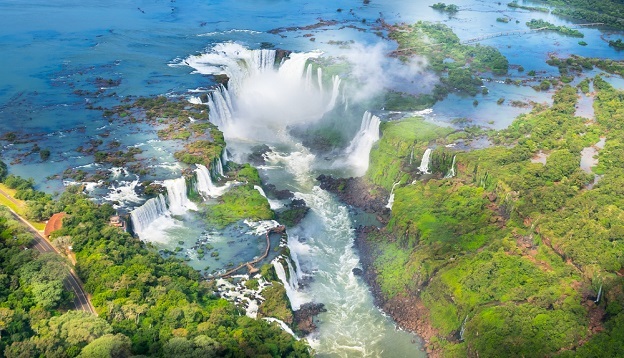 Next up is the Pantanal of Brazil – which actually beats the Amazon for animal encounters – the Torres del Paine region of Patagonia for chance encounters with pumas and an amazing array of creatures, not to mention Antarctica, for unique species like penguins, seals and many species of whales, not to mention a flurry of distinct birds. • Culture & Culinary Treats – These you are bound to have no matter where in South America you travel. However, the most beloved hubs for culture and food are undoubtedly Peru (perhaps the most innovative cuisine and certainly the most renowned archaeological sites), Argentina (Buenos Aires is a foodie paradise and hosts some of the best museums in the continent), as well as Rio de Janeiro (for mouth-watering carnivorous feasting and a unique African influence) and Bolivia, home to the largest indigenous population of all the nations here. • R&R on a glorious beach – Whether you’re a beach fanatic or simply looking for a gorgeous place to cap off your amazing travels in South America, we’ve got the hottest tips. Brazil and Colombia boast undoubtedly the most tropical postcard-pretty beaches and Peru and Ecuador the best waves for epic surfing. Whichever beach you fancy, you’ll find some excellent tips right here. 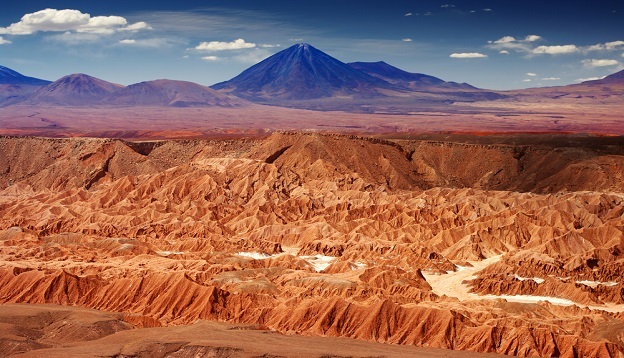 There’s nothing more we love at Chimu Adventures than to help potential guests with their long-service leave journey to South America (OK, perhaps piping hot churros dipped in melted chocolate). We offer all the inspiration you need to get your planning juices flowing and all the logistical help to set your plan in motion. Whether fully-guided, only partially guided or, perhaps, with no guide at all – we can help you plan an itinerary, book accommodation, transfers, flights, excursions and anything else your heart may fancy. We take care of all the logistics so all you have to do is put in your leave, pack your bags and head off into the sunset. Tick off the 'Big Five': Buenos Aires, Iguazu falls, Rio de Janeiro, Machu Picchu, the Amazon plus the Galapagos Islands.